The Restivo family has a longstanding history of excellence. Restivo’s has been serving the heating needs of Rhode Islanders since the early 1930’s, when Anthony Restivo used his fruit truck to deliver kerosene throughout the state. Not only was he responsible for delivering kerosene, but he was also credited with successfully completing one of the very first wood kitchen stove conversions in Rhode Island. Because of Anthony’s superior knowledge in the realm of heating, familiarity with Rhode Island and its populace, and attention to detail and prompt, courteous service, he was able to purchase his first kerosene delivery truck in 1937. With this acquisition, he began to further the growth and reputation of his small and fledgling venture into a family business. Unbeknownst to Anthony, this rapid progress was about to hit a major roadblock. In the mid to late 1940s, oil was fast becoming the chief fuel, and the world of kerosene was about to undergo a major change, one that would threaten the business Anthony had built from the ground up. Kerosene sales were steadily declining, causing upheaval for those in the industry. 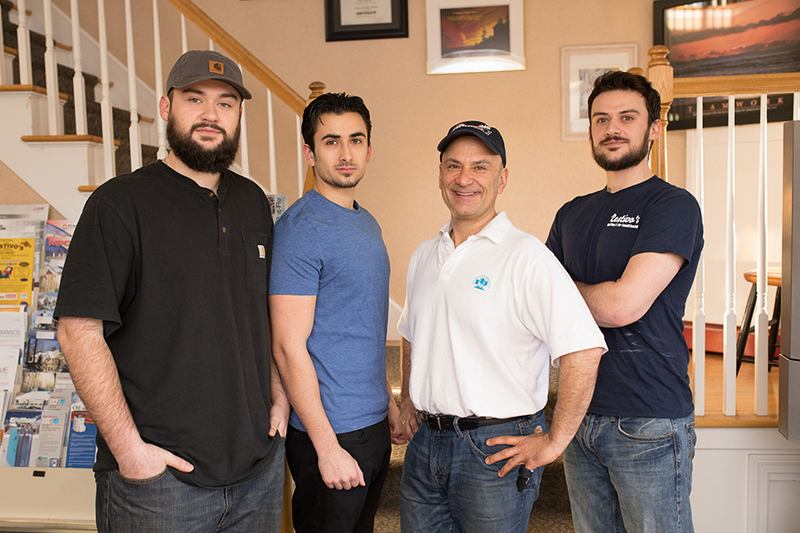 Due to fact, in 1950, Anthony (never one to surrender without a fight) sent his son, Bob Restivo, to New England Tech in order to gain the tools needed to allow the Restivo family business to once again flourish. In the early 1950’s, armed with the new knowledge gained from Bob’s schooling, father and son began converting coal and wood boilers to fuel oil. With Anthony and Bob now at the helm of the company, Restivo’s once again began to prosper. This newfound success allowed Restivo’s the opportunity to become one of the most recognized oil companies over the next 3 decades. This period of rapid expansion afforded the company the chance to further develop their already considerable heating installation division. By the end of the 1970s it was time for the both the Restivo family and business to undergo another major transformation. Anthony was ready to pass on the torch to the next generation. Bob was now the new leader, and ready to revamp Restivo’s into a thriving business that would carry on the ideals of the last generation, while ensuring the company would have a permanent place in the future. By selling the oil accounts and carrying on the Restivo name, Bob created Restivo’s Heating and Air Conditioning, with the goal of focusing on the installation of heating and air conditioning systems. Bob’s next step was to bring his son Jack into the business. Jack began his training as seasonal help until his graduation from the University of Rhode Island. Once he was fortified with a degree in business and marketing, Jack began to participate on a full-time basis. Holding true to the precedent set by his grandfather and father of hard work and determination, Jack learned from the bottom up. Now in the 21st century, Restivo’s has become Rhode Island’s leader in high efficiency heating and cooling systems for the home. Customers who visit our state of the art showroom can see energy saving heating and cooling solutions as well as many options available utilizing today’s technology. Our investment in green technology separates us from the rest and positions Restivo’s to be a leader for years to come. Today, With Jack as the head of the company for over 25 years, Restivo’s is heading into its fourth generation. Jack’s sons Jack Jr, Nick and Alec are all working towards various trade licenses and degrees. 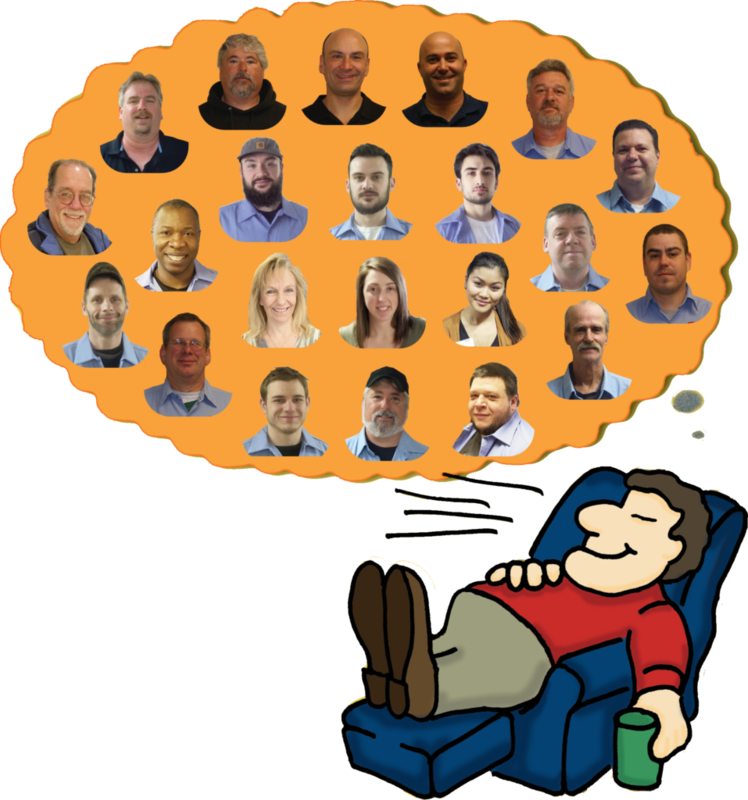 Jack is not only committed to continuing the Restivo’s reputation of quality and workmanship for which it is known in in the installation of HVAC, but is also determined to carry on the tradition of excellence in the steam heating and hydronics business. “We do it all,” Jack says, “but more importantly, we do it from start to finish.” Restivo’s is the family that serves families. Our strong family values and good business practices have been a constant throughout the years. Contact us today to experience the high level of service that Restivo’s is proud to offer our customers.